For years, Lee Fields has been asking for and patiently waiting on a reggae rhythm to sing over. 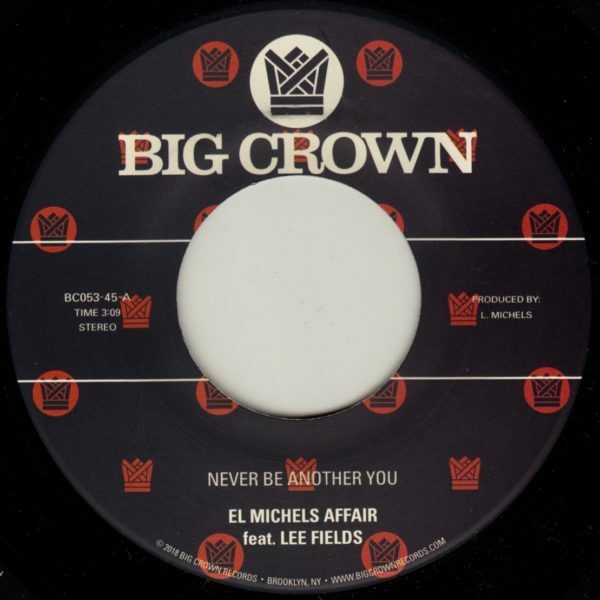 To bring this dream to fruition, EMA teamed up with frequent collaborator and reggae enthusiast, Nick Movshon, and busted out this version of the Lee Fields & The Expressions’ instant classic, Never be Another You. The A side is the vocal version of the tune; EMA cut a killer interpolation of the original and had Lee lay down the vocals like only he can. The result is right on time for summer, a feel good side that can hold court right next to the classics. The B side finds Michels manning the boards for a proper version of the tune. Echoes, drop outs, and reverb flourishes all dancing through the mix in proper reggae style.